I am pretty much certain that you have faced a situation like this. You have a large family. Each person has something to do after school and each has different choices. So you assume the roles of a driver, manager, and provider all at the same time. You kid’s friends need to be picked up from school, help them with homework, besides you have to do housecleaning, chores to perform and appointments to follow. Your life is busy and you can’t escape from it. But there is a solution. Use personal time management for effectively utilizing your day. You are not left with much time if you are among those I mentioned above. You must be confused about how to achieve all this. 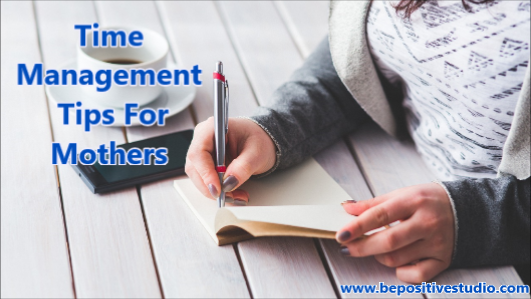 We certainly can’t change the number of hours in a day, but can surely use effective personal time management tricks to manage day in a better manner. Thereby you can lead a relaxed life and yet be able to achieve the same results. The first step you have to take is to evaluate your daily life. Identify the activities in your daily routine that take up a lot of time and try to figure an alternative to reduce the time for accomplishing those tasks. One method to save time is to arrange for pick up and drop off to school for your children. Such many minute steps will definitely help you save time. You do have appointments to attend to. Think about scheduling appointments on a particular in a week. If your children are grown you can share your workload with them. This is also a method for personal time management. 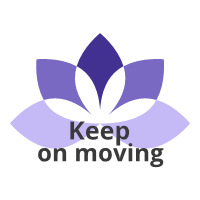 Altering your lifestyle is to tackle blockades on the way. For personal time management, this would amount to giving up any task that is not urgent and can be carried on later. For any task, you are about to begin considering how important they are and if they can be postponed to a later date or time. If this task does not help you achieve your goals then the task can be dropped for now. If you are ahead of your schedule, devote the extra time for a task scheduled some other day. This way you can make your days less hectic and this is an excellent way for personal time management. You can live a lot more satisfied and relaxed life if you manage time efficiently. Give a try to personal time management. Usually, it is common for mothers to consult each other for the best time management tips. The most common response they get is prioritization. This word is simple and once you implement it to its fullest, you will be able to achieve success easily. Similar to a grocery list, prepare a ‘Things to do’ list but it is advisable to categorize them into Must do, Should Do and Want to do. Paste this on your kitchen door or refrigerator or any other place where it is easily accessible. But for this time management trip to bear fruit, make sure that you categorize your tasks in a correct manner. Those tasks that are extremely time sensitive and would bear serious consequences if not completed within the prescribed deadline should be put into Must Do task. For instance, electricity bill payment or enrolling your child into preschool would be Must Do tasks, because if not carried out the electricity supply will be cut and your child will miss preschool. Those tasks which you ought to carry out but are not required to be done immediately are the Should Do tasks. Tasks, like baking a cake for your neighbor or dusting the ceiling fans, need to be done but can be delayed so as to take care of MUST DO things. These are tasks that you would like to complete when you have time and after the Must Do and Should Do tasks have been done. Tasks like scrapbooking supplies, buying shoes can be this kind of tasks. These tasks enable to devote time for yourself, whenever you find some. Time Management Advice--Go through the list at least a night before so as to come up with an action plan about the next day. Check off whatever tasks you complete and this will give you a great feeling of achieving some target. This is very important especially for mothers who do not get paid and have to work selflessly throughout the week. Prioritization is the crucial thing to do because without it you might end up forgetting to carry out the crucial task and indulge in some other trivia. For instance, you might spend your day in decoration for the birthday party and forget ordering the cake! Hence classify your list and you will find it very easy to carry out the tasks. This time management plan is not a magic mantra that will result in sorting out your life right away. But once you classify your tasks or in other words prioritize them, you will for sure be more productive. Everyone has his/her own tasks and priorities, so a generalized or common list is not at all possible. Many moms have actually implemented this time management tip and have been delighted with the results!